Ludomar Rejoneo/Vaquera saddle, designed in conjunction with the Rejoneador Sergio Galan. 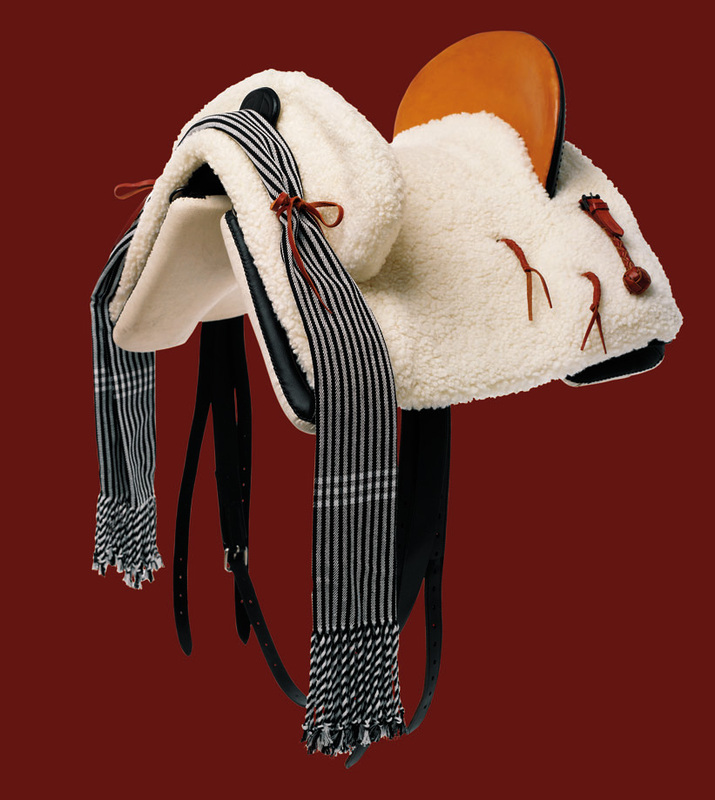 This rejoneo saddle is made from first grade leather and has a natural sheepskin cover. The saddle tree is made from a combination of wood and carbon fibre and has a 6 year guarantee under normal use.The tree is very flexible and adapts well to the horse's back. 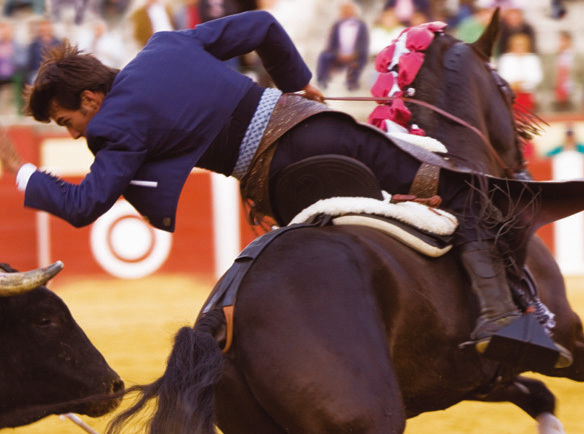 The characteristics of seat design and lightweight tree makes the Trapio saddle the choice of professional rejoneadores, or amateurs who want maximum contact with the horse. The manta Escribera (blanket shown on the ront of the saddle in the illustration) does not come with the saddle - there are a choice of options you can order. The optional (not included in saddle price) crupper design is very elastic which allows more extension and greater comfort for the horse. The rejoneo saddle is fitted with long girth points for short 'English' style girths and is used with 'English' style stirrup leathers (note girth and stirrup leathers are not included). The saddle is made to order and includes an internal pocket for the owner's name, details etc. In Black only. As this saddle is made to order and made to width (within reason), please contact us with full details. Contact us if you would like initials etc embossed on the saddle cantle as this can be done at a small extra cost. Specially discounted half price delivery.